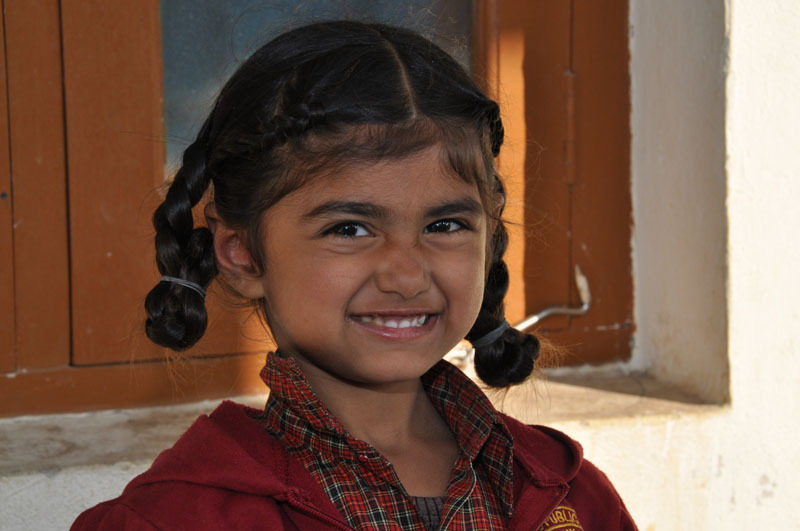 Serves our society for the betterment and upliftment of girls who are deprived of family care and protection. Back in 2010, the lives of 3 sisters, 9 year old Anu, 7 year old Rajni and 1 year old Pooja stared at devastation as they lost thier parents in Sawara, a village in the district of Mohali, Punjab. Left with no one to even provide a meal a day the 3 little kids faced uncertain future where food,shelter, security, education looked a distant dream. The poor kids were left with no option but to work at people's house or even beg for food! 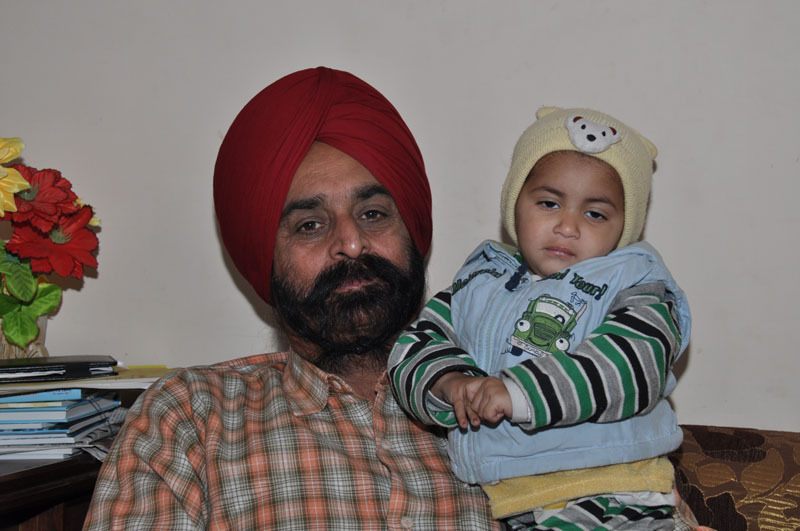 Taking notice of their plight, Sardar Darshan Singh Dhaliwal an advocate/social worker approached Dr Harminder Singh - Founder of Jyoti Sarup Kanya Asra, a home of hope for the Girl Child in Kharar, Punjab. The children were immediately adopted as daughters and 5 years later, today Anu(14), Rajni(12) and Pooja(6) go to school, enjoy meals, play with 80 other children in the home of divine we call Jyoti Sarup Kanya Asra! The three kids today look forward to a bright future and food,shelter,security is no longer an obstacle. 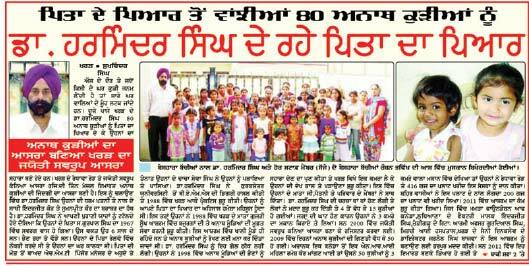 Their lives is being enriched with love and affection and with 80 sisters around they have nothing that can stop them now. 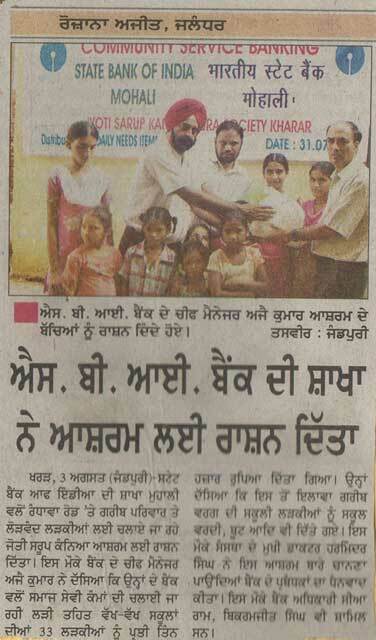 It is the effort of people like Sardar Darshan Singh that the society still is a place for the girl child. At Jyoti Sarup Kanya Asra we are thankful to our donors,sympathizers and friends whose contribution help us to hold our heads high and serve the divine in form of the girl children. Today we have made a start and need your help and support to bring joy into lives of many more Pooja,Rajni and Anu. Please share this story and help our work reach as many people as you can. You share and likes will help generous people reach out to us. To meet our day to day expenditure and also to broaden our activities, we are constantly dependent on voluntary contribution. We therefore welcome your support for this worthy cause. You can contribute to this cause by following means. 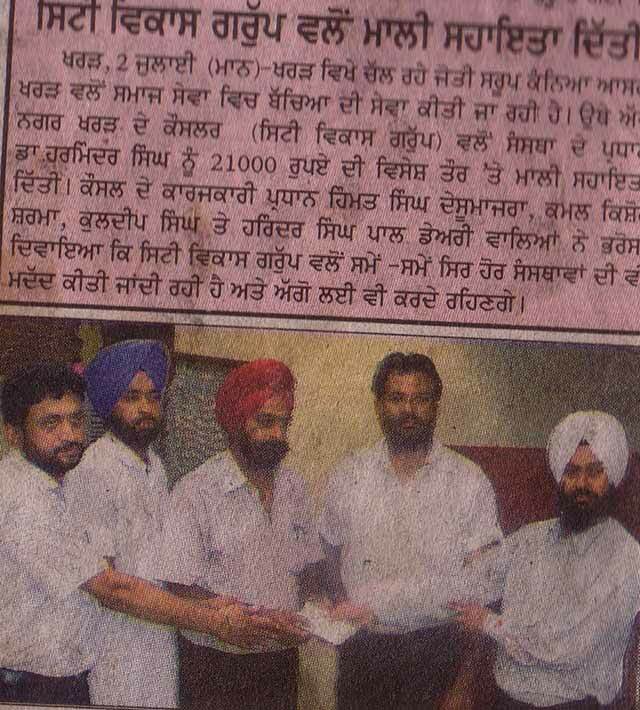 Make a donation in Cash/Cheque in the favour of Society(Regd.). 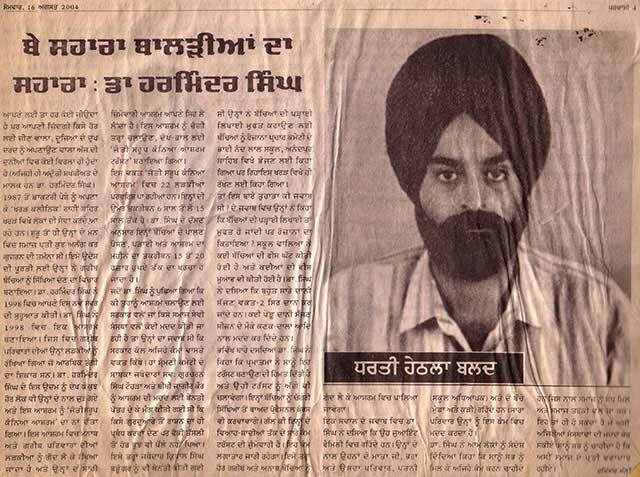 Jyoti Sarup Kanya Asra has been covered in many newspapers of the region, here are some clippings. Come visit us anytime at our home, or get in touch with us. 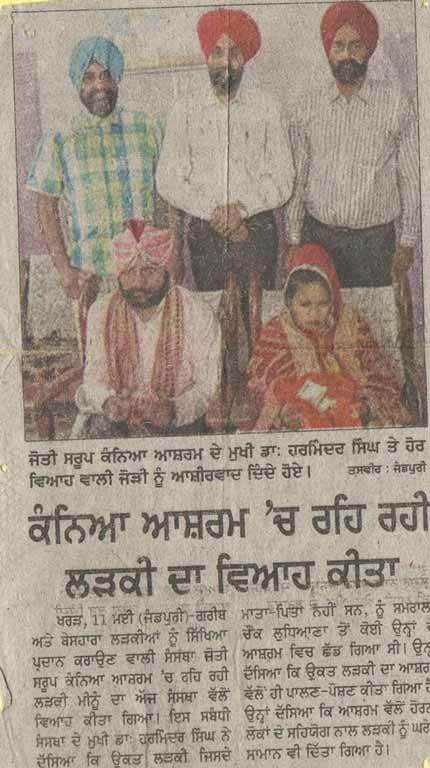 Jyoti Sarup Kanya Asra Society. All Rights Reserved.